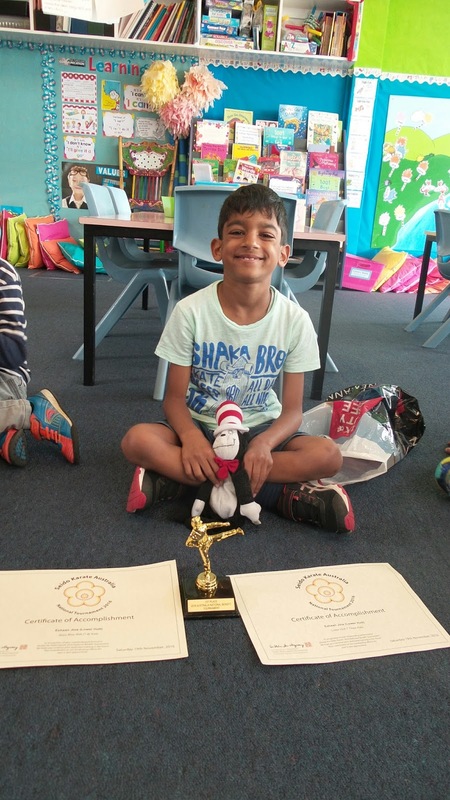 We are very proud of our very own Karate super-star, Eshaan. He and his brother attended a Seido Karate Tournament in Sydney, Australia last week. Eshaan came 1st in his division and his big brother came 2nd.